Did you know that in Brussels there is a building which forms the shape of a unit cell of an iron crystal?! 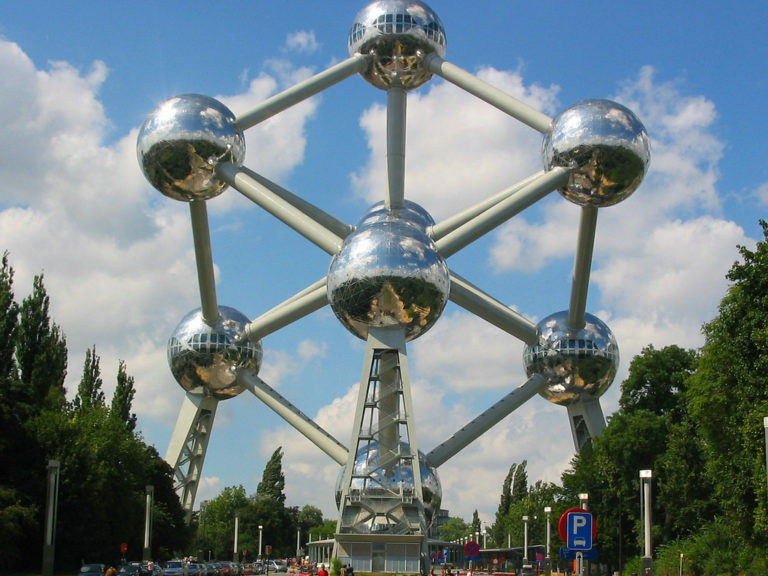 Atonium was originally constructed in 1958 for the Brussels World’s Fair. The building is now a museum and is 335ft tall which has nine 60ft stainless steel clad spheres. Along the 12 edges of the cube, there are stairs, escalators and a lift to allow access. The Atonium has been named one of Europe’s most bizarre building.